Taking 231 South make a right onto Hwy 123 at the light by the Kangaroo Gas Station. 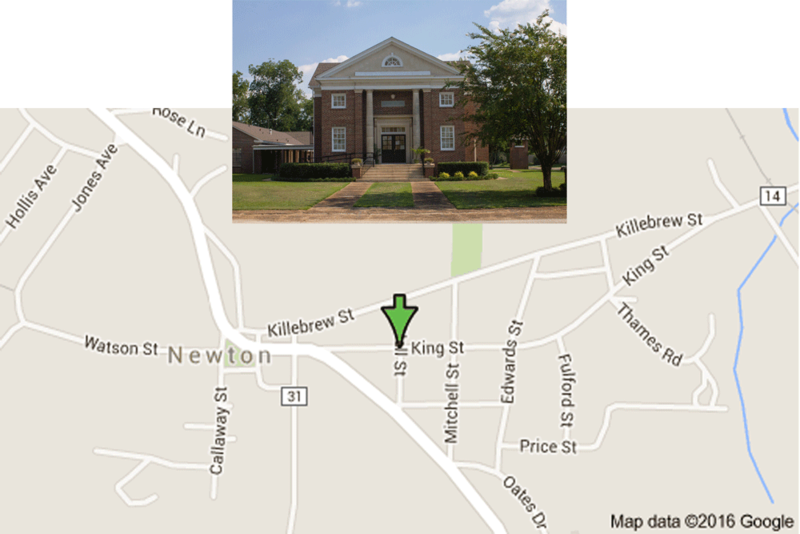 Continue on 123 until you enter the Town of Newton. Make a left onto King Street immediately after the Inland Gas Station. After approximately .2 of a mile, Newton Baptist Church will be located on the right.